Euroway Industrial Service Co. Ltd. 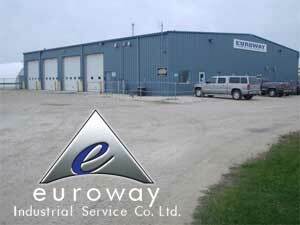 Locally owned and operated, Euroway Industrial Service has been serving Winnipeg and surrounding areas since 1971. With a diverse customer base we provide products and installation for complete vehicle customization, Crane & Aerial applications as well as Vehicle Safety Inspections, Fuel & Pressure tank certification, Heat Treating & Environmental Clean Up, just to name a few. We are able to customize every project to suit each customers needs while delivering high quality workmanship at reasonable prices.